By this time in the school year, we have all settled into our routines and our lives have a certain rhythm. On the other hand, the regularity can dull us to the things that matter most. For example, is the most pressing issue really which four teams will be in the college football playoff? Instead, shouldn’t we be reflecting on the service and sacrifice of others on our behalf as we approach Veterans Day? As we stand on the other side of Election Day, here is another reminder of how we can lose sight of what is most important. To be sure, we should actively participate in our political process. As imperfect as it often is, our political system remains the envy of the world and where the Gospel still flourishes with our inherent freedoms. Tim Keller, author and pastor, recently penned this Op Ed in The New York Times. Keller’s perspective is helpful in framing our thinking about how our faith informs our action. I am both a political and college sports junkie. I admit it. Like many others, I enjoy thinking and talking about both topics. On Tuesday, I jockeyed between election results and Kentucky’s season opener against Duke with equal delight. However, neither of those very interesting topics matter most. Years ago, I heard a man state why he worked in Christian schools. He said, “because they focus on two things which are eternal — God’s Word and people.” Those are things that matter most. While the Christian school is not a perfect mechanism, it is the institution that is most focused on linking faith and learning. It is the place that occupies 16,000 hours in the lives of its students. It is the place fighting for influence in the hearts and minds of our children. As we near the end of the first semester, let us reflect on the things that matter most. Before long, most of us will sit around a table with family and friends on Thanksgiving. If your family is like mine, there will be some discussion about things for which we are thankful—a counting of our blessings. Praise God for raising up Westminster Academy. 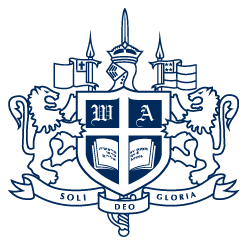 We certainly aren’t perfect, and we clearly have work yet to do, but for over four decades, God has used Westminster Academy in things that matter most.